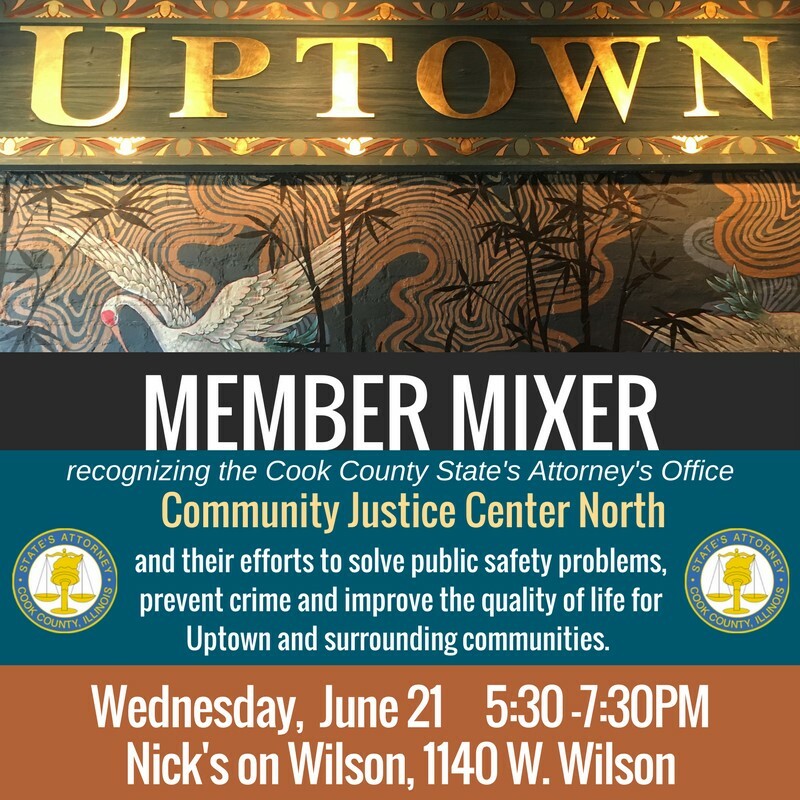 "Join us this Wednesday, June 21 for our next Uptown networking mixer! This event will take place in the newly re-opened Nick's on Wilson. 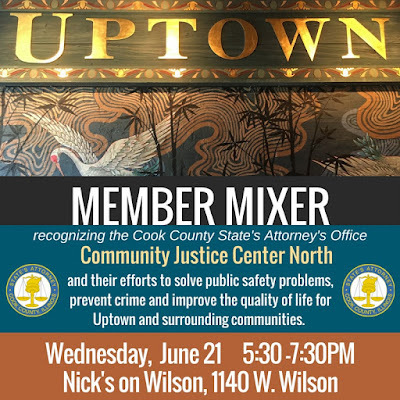 Meet other business owners and community members while enjoying light food provided by The Jerk Stop and drinks offered by Nick's. 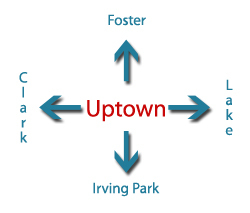 Our monthly Member Mixers build community among Uptown businesses, non-profits and neighborhood groups, strengthening our local economy through the development of strategic partnerships. Non-members welcome! We are pleased to feature and recognize the work of the Cook County State's Attorney's Office Community Justice Center North, founded on the principle that prosecutors have a responsibility not only to prosecute cases but to solve public safety problems, prevent crime and improve the quality of life for communities. 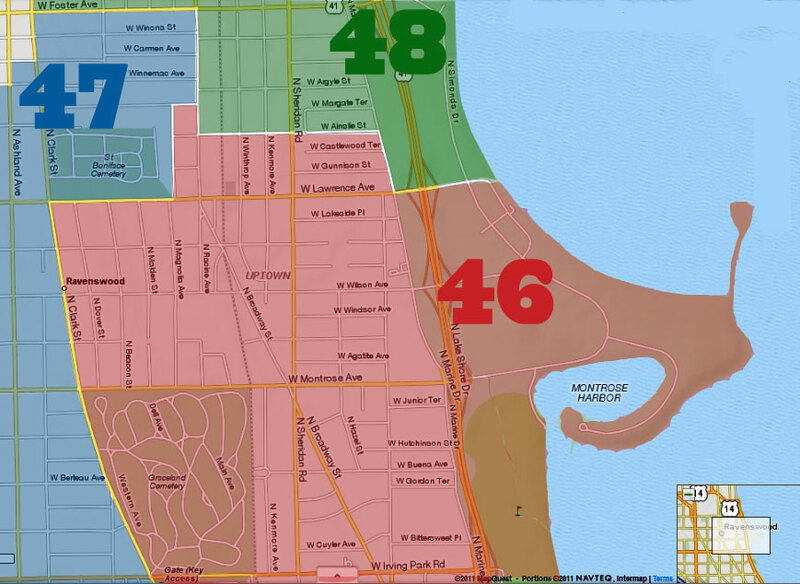 Working out of neighborhood offices, the Community Justice Centers collaborate and partner with police, businesses, faith based organizations, elected officials, schools, government entities, social service agencies and community groups. The goal is met in three ways: prevention, problem solving and prosecution." Jerk Stop had a health notice posted on its door yesterday. Will they be back up and running to provide food tomorrow?